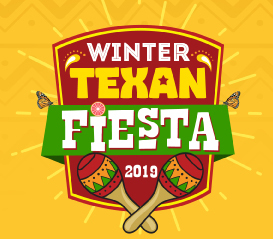 The Greater Mission Chamber of Commerce will host its annual Winter Texan Fiesta, sponsored by Bert Ogden Mission, from noon to 7 p.m. Friday, Feb. 15, and 10 a.m. to 5 p.m. Saturday, Feb. 16, at the Mission Event Center, 200 N. Shary Road in Mission. The annual two-day event is free, open to the public, and is held to show appreciation to the Winter Texan community that call the Rio Grande Valley home during the winter. On Friday, attendees can enjoy food from local vendors and can shop at the Artesano Market where local and Mexican Artesano’s will be selling handcrafted items. Attendees can catch a movie as the Mission Historical Museum will be screening “She Came to the Valley” during the two-day event throughout the day. Enjoy live music at the outdoor concert hosted by the Greater Mission Chamber of Commerce on Saturday. “We are excited to show our Winter Texans genuine South Texas hospitality. Our Winter Texans have shown much appreciation to our community and continue to call Mission their second home,” said Brenda Enriquez, president and CEO at the Greater Mission Chamber of Commerce. The Mission Historical Museum will continue to have their indoor event starting with a presentation of “The Life of Tom Landry” presented at 10 a.m. by Manuel Hinojosa. Also on exhibition will be the Queen Citrianna dresses displayed in the Mission Event Center lobby. For more information, visit www.missionchamber.com or call (956) 585-2727.